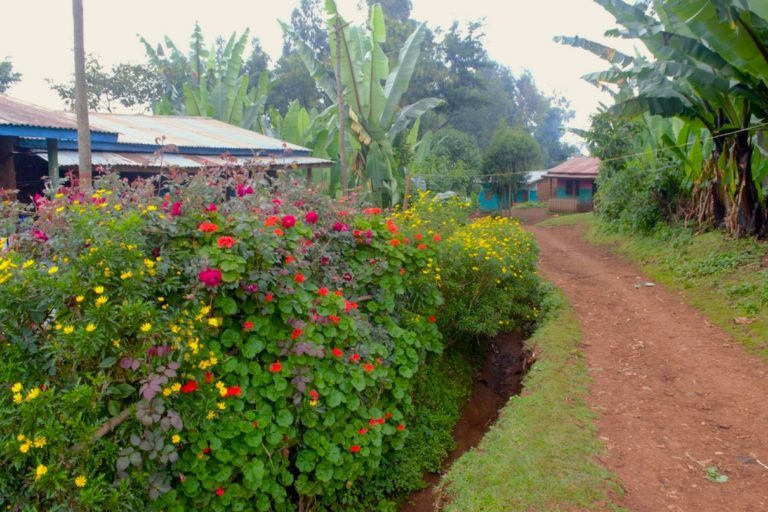 The village of Bule is believed to be the birthplace of traditional “home garden” agroforestry in Ethiopia. Farmers here practice this ancient multi-storied agroforestry system — the growing of trees, shrubs and annual crops together in a forest-mimicking system — around their homesteads, hence the name home garden. Trees provide fruit, timber, fodder or soil-building properties and shade for mid-story crops like coffee and enset, with vegetable and medicinal herbs growing on the forest floor. Farm families are more food secure, because the system provides economic, ecological and environmental attributes and provide year-round and marketable harvests. BULE, Ethiopia — A small village 370 kilometers (230 miles) south of the capital, Addis Ababa, Bule is believed to be the birthplace of traditional “home garden” agroforestry in Ethiopia. Bule farmers still practice this ancient multi-storied agroforestry system — the growing of trees, shrubs and annual crops together in a forest-mimicking system — around their homesteads, hence the name home garden. The area exhibits relatively diverse home gardens, most comprised of two native perennial crops: the banana-like enset (Ensete ventricosum) and coffee. 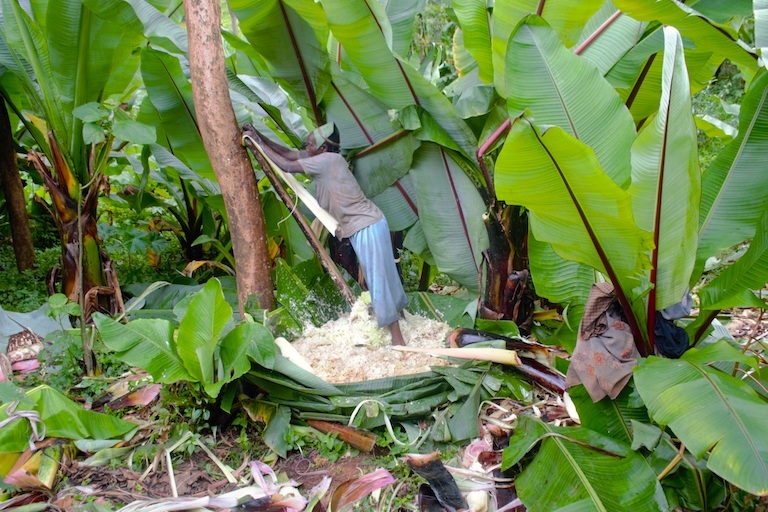 These grow beneath avocado and papaya trees and banana palms, with vegetables below, providing households with nutritional, economic, social and ecological benefits. 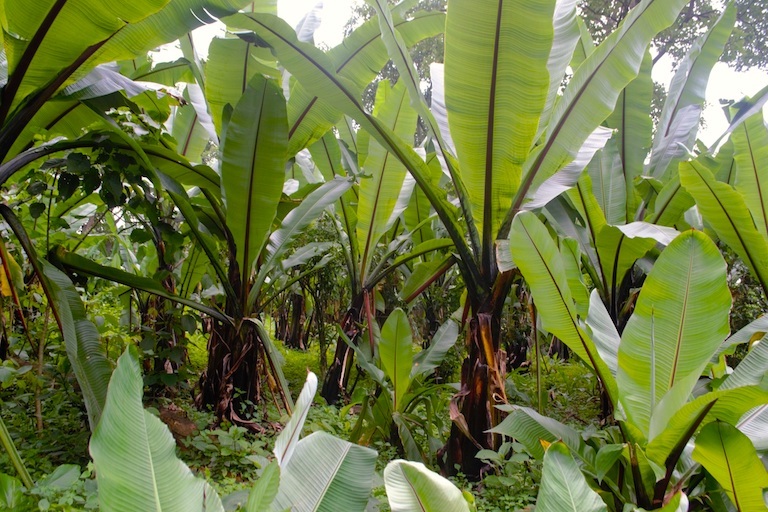 The banana-like crop enset with root crops growing below and useful trees above. Image by Tesfa-Alem Tekle for Mongabay. “The Gedeo people [get] high value [from] the indigenous agricultural system,” says Endashaw Solomon, a local crop agronomist. Preserving these agricultural practices is a tradition for the communities, Solomon says, and has enabled them to remain food secure from year to year. Locally known as kara miemite boga, these agricultural systems also improve the soil and ameliorate the effects of climate change by sequestering carbon dioxide from the atmosphere (it is estimated that agroforestry sequesters 45 gigatons of carbon, a figure that grows annually). A study of home gardens here revealed an average of 16 crop species and 21 tree species grown on each farm, fulfilling nutritional and other needs of the households while reducing environmental or market shocks. “Trees are used as fuel, fodder, for local construction, but also sold as timber or firewood. The income from these traditional systems is not high, but households are more food secure,” says Sali Biftu, a local soil fertility expert. Trees are planted that provide edible fruits, timber, fodder or soil-building properties, include peacock flower (Albizia gummifera), large-podded albizia (Albizia schimperiana), broad-leaved croton (Croton macrostachyus), red-hot-poker tree (Erythrina abyssinica), Cape fig (Ficus sur), birbira (Millettia ferruginea) and Cordia africana. These trees also provide shade for coffee bushes below. A woman peels enset to make a staple food, kocho bread. Image by Tesfa-Alem Tekle for Mongabay. Unlike farms in nearby areas now increasingly growing monocultures of the popular drug khat, whose leaves are chewed as a stimulant, traditional agroforestry systems are more complex and also play a major role in reducing soil erosion while boosting fertility and biodiversity levels, according to Biftu. “There exist annuals and perennials which protect the soil from erosion and enrich the soil through litterfall input in the form of organic matter, whereas monocropping practices such as khat slowly diminishes litterfall input to the soil, which has implications [for] soil organic carbon, ultimately causing negative consequences [for] ecological sustainability,” he says. As well as preserving traditional home gardening practices, the indigenous Gedeo people have a tree planting culture. “Here in Gedeo, the first thing a father passes to his child as inheritance is the culture of tree planting, and not land,” says farmer Mengesha Tero. “So our children grow up with this culture and pass it to the next generation. “We even give priority to the traditional home garden agroforestry [rather] than to our children. This is because we believe our children can’t survive without those practices,” he adds. A future home garden harvest. Image by Tesfa-Alem Tekle for Mongabay. The diverse and extensive forest coverage that agroforestry provides in Bule attracts different species of birds to nest. It has also become a safe haven for other wild animals such as mantled guereza monkeys (Colobus guereza) and the Ethiopian highland hare (Lepus starcki). Traditional medicine is a common option for health care in Gedeo, so medicinal plants are also part of the different agroforestry systems, with much of the home gardens’ lower strata planted with herbs known locally as tena adam (Ruta chalepensis), enkoko (Embelia schimperi), tinjut (Otostegia integrifolia), tej sar or lemongrass (Cymbopogon citratus), aday (Salvadora persica), ades or common myrtle (Myrtus communis), hina or henna (Lawsonia inermis), endod (Phytolacca dodecandra), kinin or neem (Azardirachta indica), koso (Hagenia abyssinica), and demakese (Ocimum lamiifolium). Home gardens also enable Bule’s community to continue their food traditions. Different types of cereals, vegetables, fruits, roots, shrubs, tubers, spices and condiments as well as livestock are grown in intimate association, all of which improve the quality and quantity of nutritional foods in household diets. 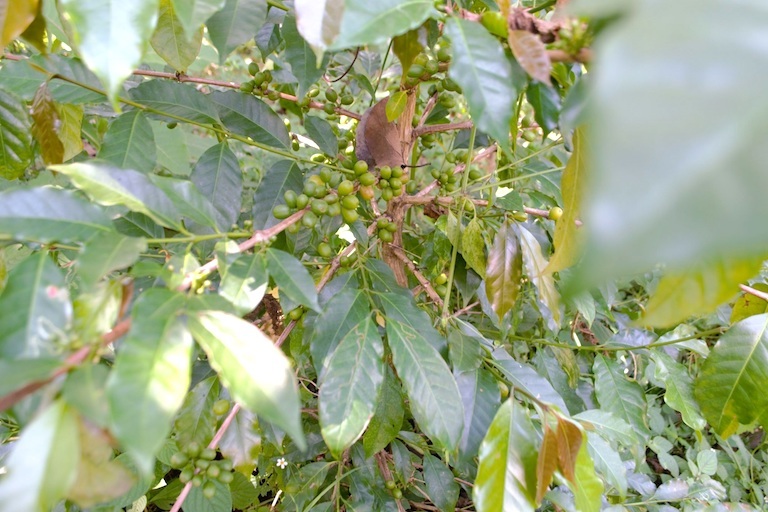 Besides food crops grown for sustenance, crops like coffee and fruits are grown for sale. Tero, a 58-year-old father of 10, says his household is better off with the home garden agroforestry system since there’s a year-round harvest of different types of crops. “My household is food secure. I grow enset, root crops, maize, coffee, sweet potatoes and avocado. I earn $400 – $500 a year from marketing the surplus home garden products,” he says. In general, home gardens here optimize production by allocating more farm area to food crops and less for cash crops, so that the household is self-sufficient. “People here in Gedeo don’t practice monocropping. The people of Gedeo wouldn’t have survived if it were not for the practices of home garden agroforestry,” Tero says. Trees in the home gardens are also very useful for honey production, providing flowers for bees and space for hives in their canopies. Beekeeping improves households’ food security and nutrition, and is also a source of extra income. Typical home garden scene in Gedeo. Image by Tesfa-Alem Tekle for Mongabay. “I have 13 beehives,” says Alemayo Abraham, 36. “We use honey mainly for household food consumption, but I sell the surplus.” Abraham has also set up an enset nursery on his half hectare (1.2 acres) of land; sales of the seedlings bring in $360 a year, he says. Abraham is among the 45 percent of farmers in Ethiopia working with just 0.5 hectares of farmland. 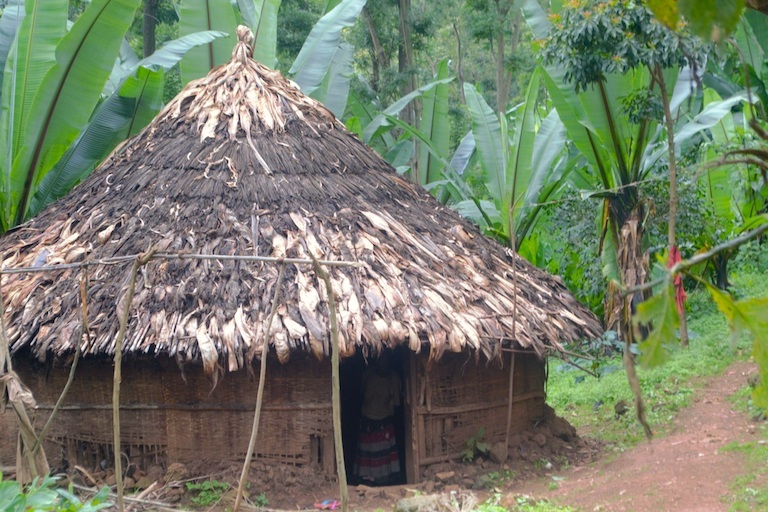 As the population in the Bule area increases at a faster rate than other parts of the region, parents passing on land to their children are subdividing it into smaller and smaller plots. With a shrinking farm size per household, farmers here are under pressure to produce more from the scarce available resource. Beyene Teklu, a researcher and lecturer at Hawassa University, says a household should own at least 1 hectare (2.5 acres) of farmland to be able to feed itself. But that doesn’t seem to be the case with Bule’s agroforestry system. The average farm size in Bule is slightly larger than the national average, at two-thirds of a hectare (1.7 acres acres), and farmers Mongabay spoke with said they were making a good living from their home gardens. Meseret Bunee is among those who own less than half a hectare, but says she and her husband and their six children enjoy year-round harvests and are food secure. “I grow cabbage, onions, enset, coffee and maize,” she says, “as well as fruits and cabbages. I also sell kancha [sisal, Agave sisalana] and earn extra income. “My husband is engaged in coffee and timber production. He also is a rural construction worker,” she adds. Women of a household collecting different home garden produce. Image by Tesfa-Alem Tekle for Mongabay. While shrinking farm sizes elsewhere have contributed to an overall exodus of rural youths, areas dominated by agroforestry are again largely exempt. “Previously the youth used to migrate, but now people remain rooted in their home place thanks to the introduction of modified agroforestry,” says Birhanu Birara, a farmer. In addition to its economic and environmental benefits, agroforestry also provides social advantages, including from the perspective of gender. Having a reliable supply of food and fuelwood improves labor efficiency and helps women use their time effectively, while income diversification improves the livelihood and well-being of women and their households. In Bule, traditional home gardens have boosted ties between households, too, as neighbors share or exchange home garden products. “If for example I run out of food or coffee, I don’t have to go all the way to market. I can easily borrow it from my neighbors or exchange it with other products from my own home garden,” says Bunee, the mother of six. This social capital collectively built over ages has enabled households to escape food insecurity during harsh seasons, and it keeps the community healthy: “We grow different medicinal herbs which we use at home or share with neighbors and relatives to treat some ailments,” Bunee says. Such interactions boost neighborliness and have allowed communities to live in harmony for ages. Bule village entrance, home of agroforestry in Ethiopia. Image by Tesfa-Alem Tekle for Mongabay. In nearby Sidama, farmers are aggressively converting to khat production, and there are signs that a few farmers on the outskirts of Gedeo have also started it at a smaller scale. Teshome Tesema, director of the plantation and agroforestry research at the Ethiopian Environment and Forest Research Institute (EEFRI), says farmers shift to khat production when they perceive some immediate economic benefits in their cropping system. But he says he believes they will eventually give it up over food security concerns. “I believe that the Gedeo agroforestry system [has been] sustained so long due to this fact,” Tesema says. “The reason why you are still observing the multi-storied home gardens left and right while you are traveling across Gedeo is that the people love the system and are [benefiting] from it,” he adds. 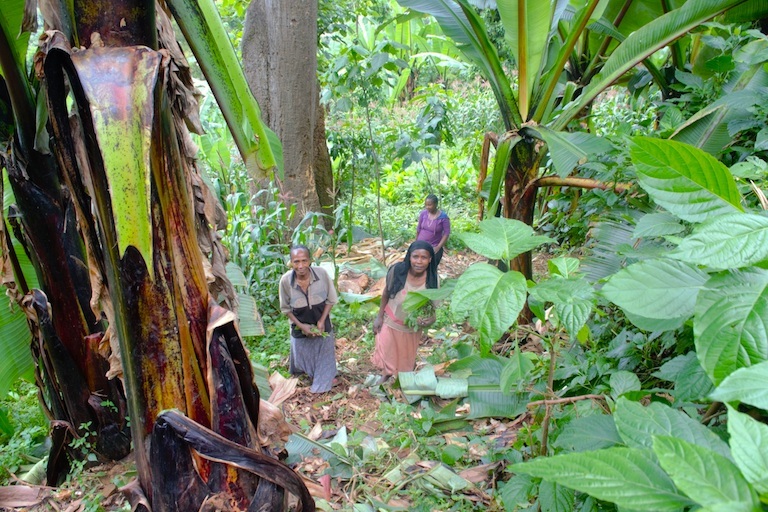 The “economic, ecological and environmental attributes” of the agroforestry system mean that a farmer with diverse crops that provide year-round and marketable harvests is more food secure than one without, Tesema says. There are also potential socioeconomic risks associated with dependence on a single crop like khat. Farmers can be severely affected in the case of market failure, loss of production due to pests or unfavorable climatic conditions, or if the government prohibits the drug’s production. 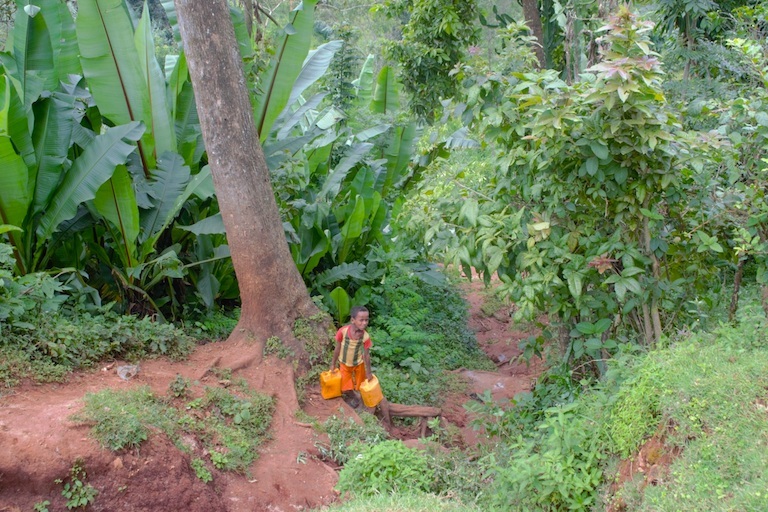 A child carries water from a nearby river through a well established home garden with towering trees and mature enset. 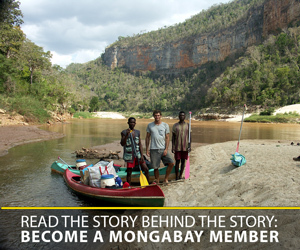 Image by Tesfa-Alem Tekle for Mongabay. As research studies and introduction of new technologies advance in Ethiopia, different kinds of modified agroforestry systems have been introduced in recent years. Some farmers in nearby West Hararghe grow khat with maize and coffee, and one recent study showed that intercropping the drug crop increased revenue per hectare and did not hurt overall species richness. “As an exit strategy we can advise farmers to do so,” Tesema says, but adds that growing khat is not recommended and the crop is not a preferred agroforestry species. No matter its species composition, home gardens and other forms of agroforestry will likely continue to be popular in Gedeo, and dominate the landscape as they have done for centuries.